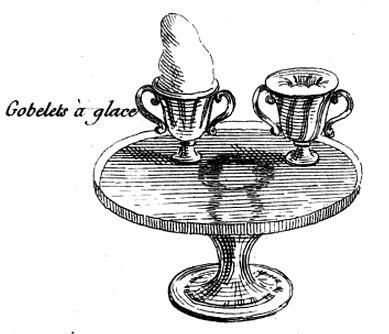 This frontispiece from L’Art de bien faire les glaces d’office, a book by M. Emy, an 18th century French confectioner, about whom very little is known, depicts how ices and ice cream were made at the time. Buckets filled with ice and salt held covered metal freezing pots that contained the ice cream mixtures. As the mixture froze, the pots were taken out occasionally to be shaken. The ice cream was scraped from the sides of the pots and stirred. When the mixture was ready, it was placed in decorative molds and served almost immediately. 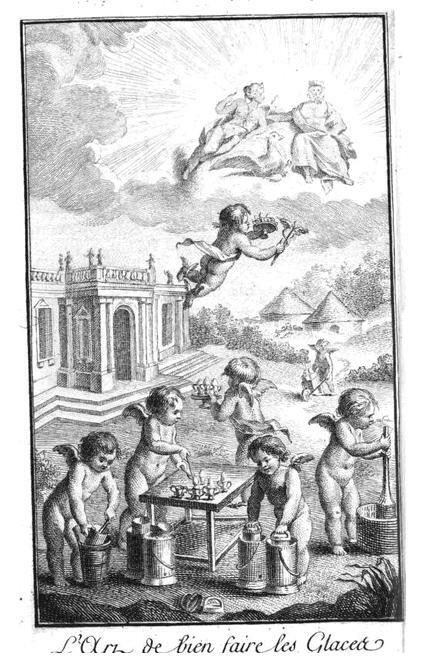 You can see the all the steps of ice cream making in the above image, with ice being delivered from ice houses in the background, and cherubs tending to the freezing mixture, while another hastens to the main house to serve the ices before they melt. 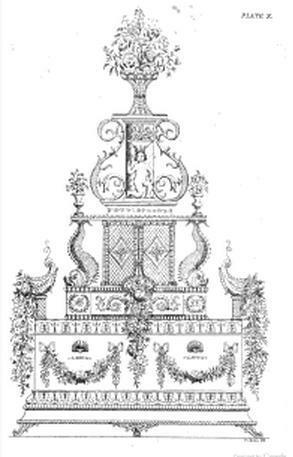 Confectioners tools from Gunter’s modern confectioner by William Jeanes. Figure 18 represents a copper funnel. 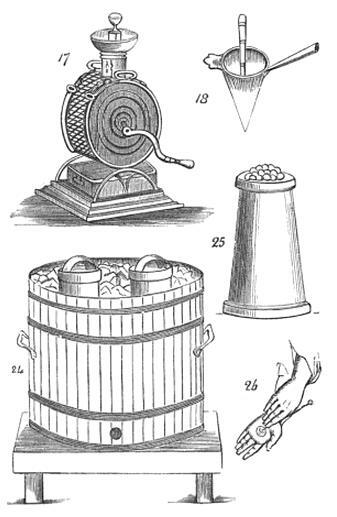 Figure 24 is an oval tub surrounded with ice and salt and containing tow freezing pewter pots. At the bottom is a plug to let out water. Figure 25 represents a Bomba ice mould, which has the impression of fruit and holds from four to six pints each. Figure 26 shows how the hands are positioned whilst modelling flowers. The process was expensive, for hauling and storing great blocks of ice was a laborious process that began in winter. 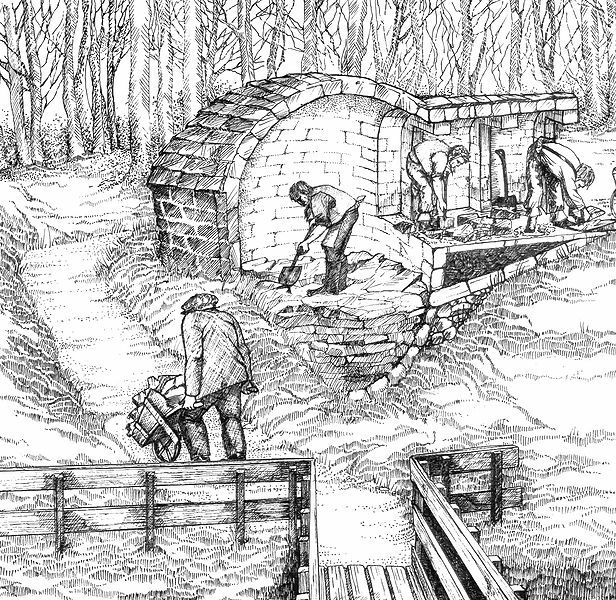 The ice was stored in ice houses that were dug deep into the ground to keep the blocks from melting even in summer. Only the rich were able to afford this luxury food to any extent until the mid-19th century, when Carlo Gatti began importing ice in large quantities to London from Norway. 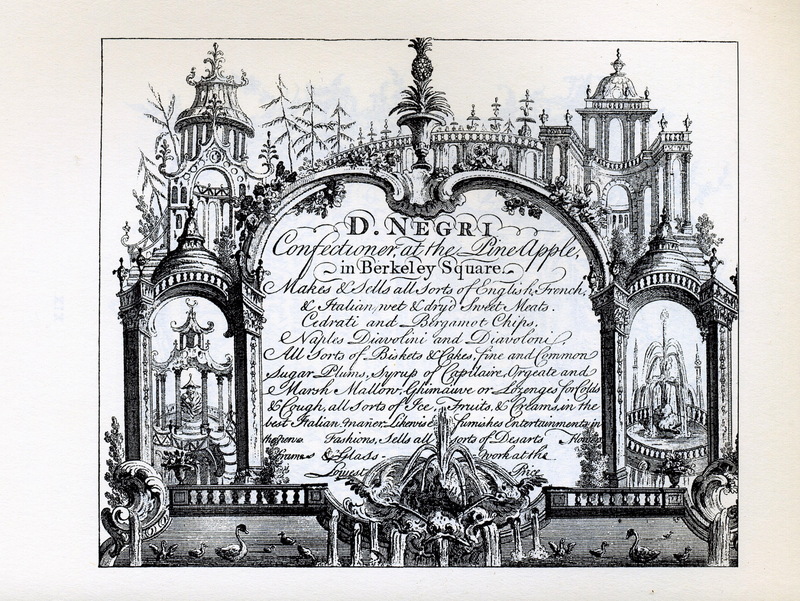 Negri’s trade card of the Pot and Pineapple with his description of his shop’s offerings. The first references to making ice cream harken back to ancient Rome and China. By the mid 18th century, French, Italian, and British chefs had published cookbooks with recipes for ices and ice creams. 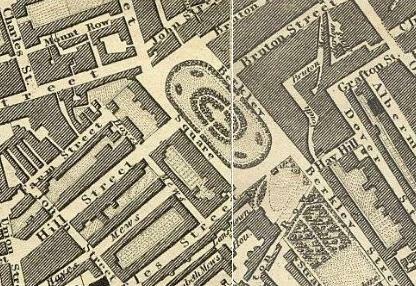 Specialty confectioner’s shops that offered ices and ice cream began to pop up in London: the most famous of these became to be known as Gunter’s Tea Shop, which survived in one form or another until quite recently. 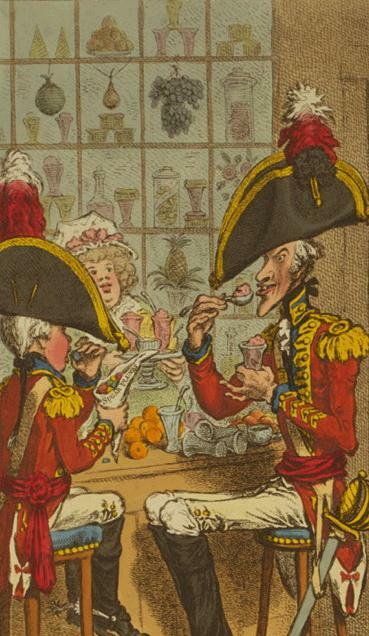 As the chefs of the era attest in their recipes, the taste in ice cream seemed to change with each generation. M. Emy made a glace de creme aux fromages that was flavored with grated parmesan and Gruyere cheeses. Joseph Gillier made an artichoke ice cream and a fromage de parmesan with grated Parmesan, coriander, cinnamon, and cloves frozen in a mold shaped like a wedge of parmesan cheese. Flower flavors were also common – violets, orange flowers, jasmine roses, and elder flowers – were used in ices. The vanilla bean, although appreciated for its agreeable flavor, did not rise in popularity until Victorian times. Negri must have done a booming business selling syrups, candied fruits, cakes, biscuits, ices, delicate sugar spun fantasies, and elaborate table decorations that showcased his deserts, for his shop survived many decades. 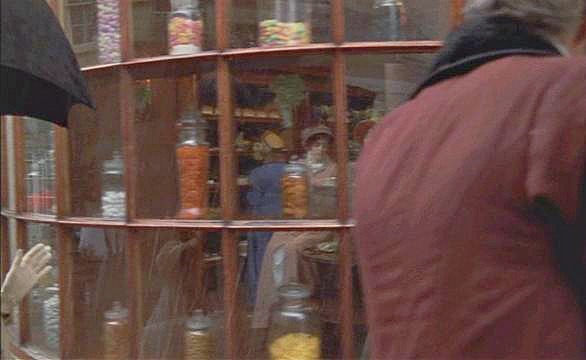 Exterior of a confectioner’s shop in Persuasion, 1995. The shop employed famous apprentices like Frederic Nutt, William Jarrin, and William Jeanes, who would go on to write their own cookbooks. All proudly noted their association with the shop. 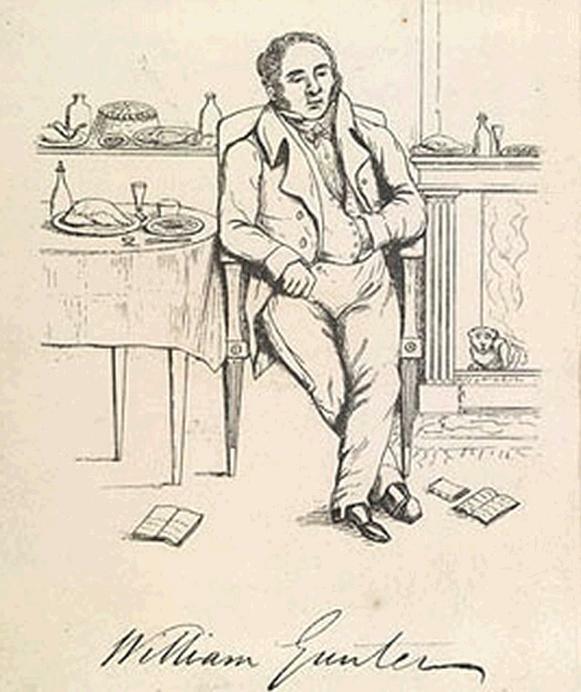 Interestingly, William Gunter, who was James’s son, wrote the most frivolous cookbook, Gunter’s Confectioner’s Oracle (published in 1830), in which he gossiped, name-dropped, and included some illogical details. One section of the book was supposed to be a dictionary of raw materials in use by confectioners. It started with A for apple, and skipped B because it ‘is to us an empty letter.’ C was a fourteen-page treatise on coffee, in French … Gunter did not name its source…The dictionary skipped D and E. The letter F was for flour. 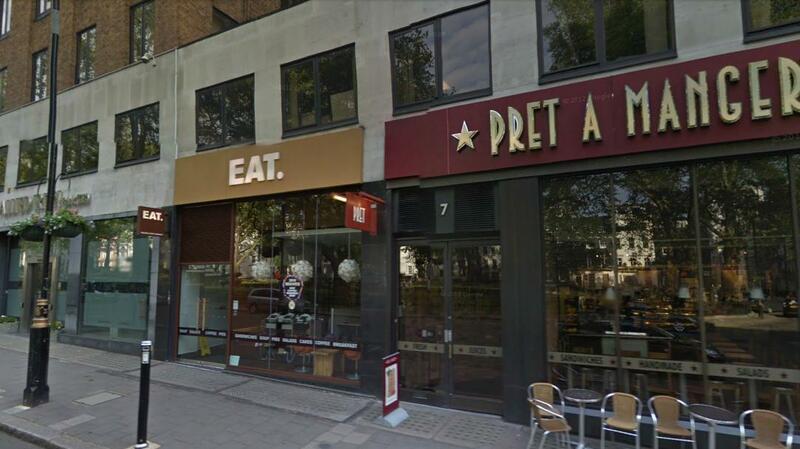 Then Gunter wrote, ‘I now skip a number of useless letters until I arrive at P.” – ‘Of Sugars and Snow: A history of ice-cream making’, Jeri Quinzio, University of California Press, 2009, p. 65.
frontier land between West-end trade and West-end nobility. The east side is half shops, on the northern there is an hotel. Confectioners and stationers here confront peers and baronets.” – Every Saturday: A Journal of Choice Reading, Ticknor and Fields, 1867. 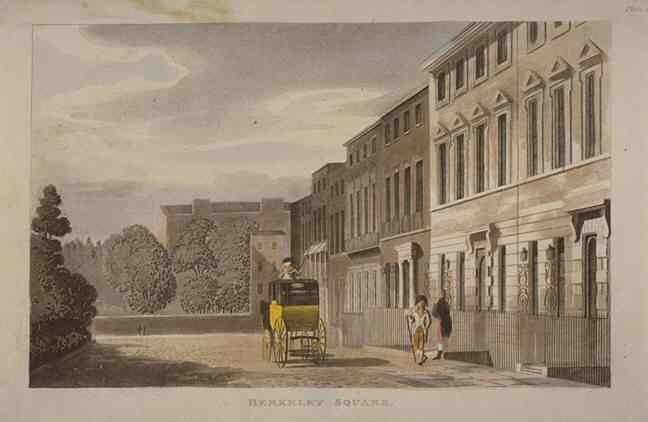 By the early 19th century, Gunter’s ices had become so fashionable that the Beau Monde, many of whom already resided in tony Mayfair, made it a custom to stop by the shop for a cool ice during carriage rides. It seemed that a rendezvous at Gunter’s in an open carriage would not harm a gently bred lady’s reputation! One can also imagine waiters running at a full clip across the street on hot days when ices began to melt as soon as they were released from their molds! 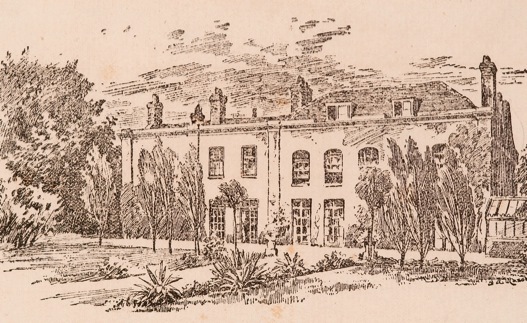 Gunter’s was also known for its catering business and beautifully decorated cakes. 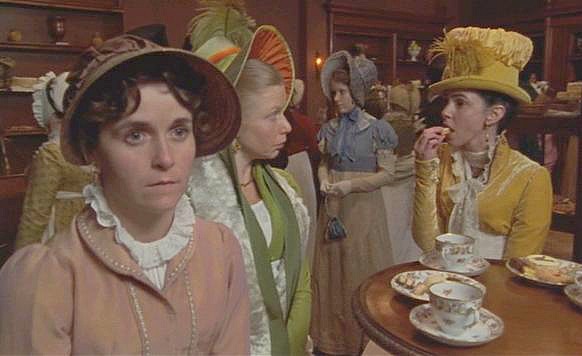 In 1811, the Duchess of Bedford’s and Mrs. Calvert’s ball suppers featured the shop’s confectionery, a tradition followed by many a society lady, I am sure. 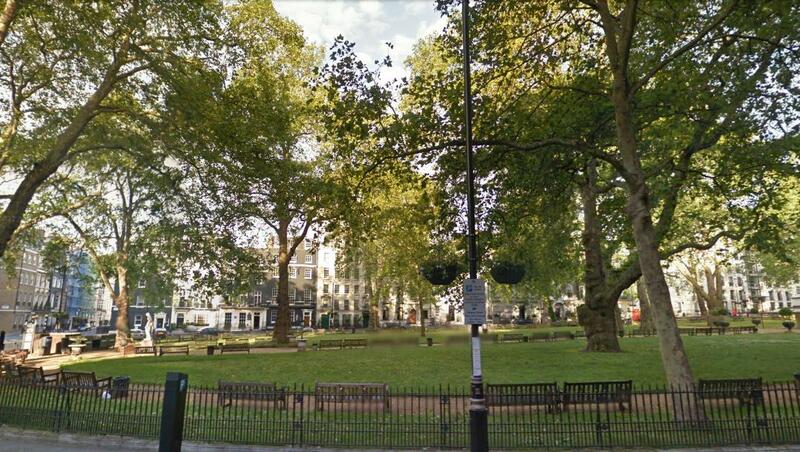 James Gunter’s success allowed him to purchase land in Earl’s Court, which was largely farmland in the 18th century. Bartleby: Ices, Ice Creams, and Other Frozen Desserts. Please Note: None of the advertisements that sit below this post are mine. They are from WordPress. I make no money from this blog.